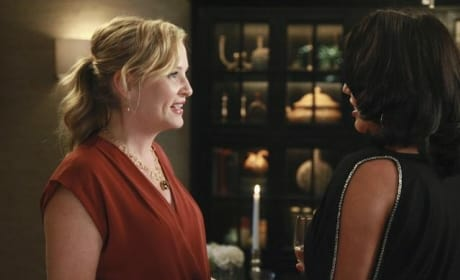 Calzona on Grey's Anatomy. Arizona looks great! 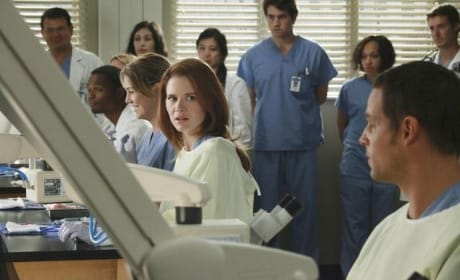 Henry and Bailey on Grey's Anatomy. This pic is from the fifth episode of season eight. 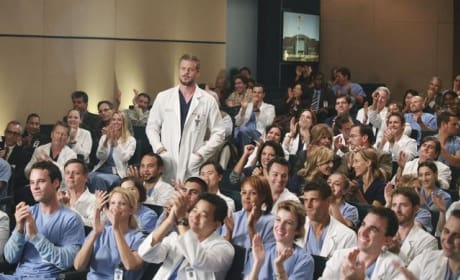 Bailey and Henry on Grey's Anatomy. This pic is from the fifth episode of season eight. Owen and Callie share a moment on Grey's Anatomy. This pic is from the fifth episode of season eight. Miranda is all dressed up on Grey's Anatomy. This pic is from the fifth episode of season eight. 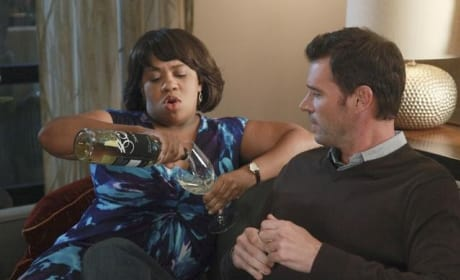 Calliope and Owen on Grey's Anatomy. This pic is from the fifth episode of season eight. 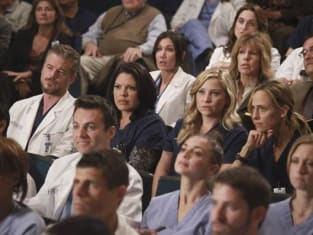 Alex and April share a look on Grey's Anatomy. This episode is the fifth of season eight. 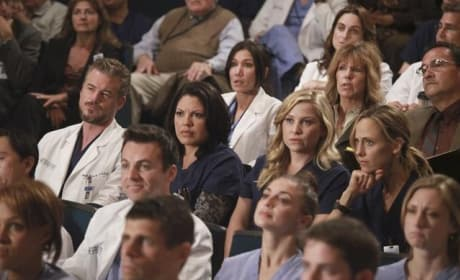 April and Mer on Grey's Anatomy. This episode is the fifth of season eight. 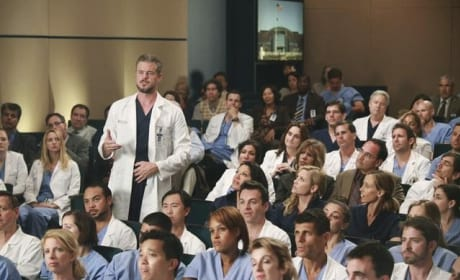 A big meeting takes place on Grey's Anatomy. Mark says what's on his mind. This is gonna be a big deal. You meant...really? He arranged for you to go visit your sister at the exact time his mother comes into town. I guess he's not really that into you or he would want you to meet his mother like a normal person. No, you had a mother. Jackson and I had surgeons who procreated. It's just a little complicated. 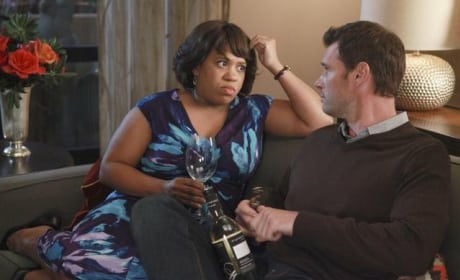 Grey's Anatomy Round Table: "Love, Loss and Legacy"